Still looking to trade for or buy prints I need to complete my set. Anyone? Talk to me after feb 10 and I am sure I can help you finish it out. Next weekend. Too much birthday stuff today. Awesome I will be hitting you up. Thanks to an awesome member (Bruce you freaking rule!! ), I have located every micro print I need except one. Butch Guice. I'm so very close now, only one away. Can anyone out there in Valiant land help? I already have a few of those so I got you covered no problem. Excellent! We'll talk in a month then. Thanks a lot! Still looking for a Butch Guice print. I still need a Butch Guice to complete my set. Drop me a PM if you want to sell me one. Still looking. Anyone have an extra? Only one away from a complete set. That seems like a lot but I'd really like to whittle a way at it if anyone has any they're willing to part with. A BIG THANKS to brucehartshorn for helping me with a chunk of missing prints!! Just 25 more to go! 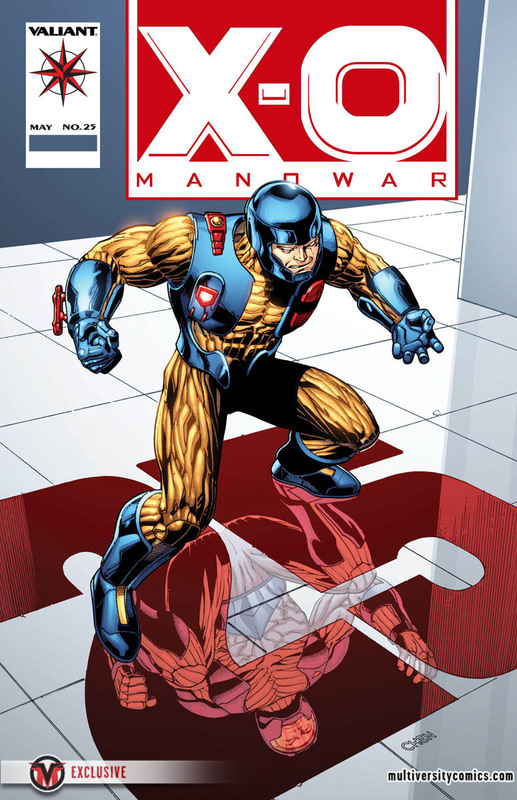 I ordered about 100 Bagged copies of X-O from Midtowncomics.com when they were $1. Once I fill holes in my set, I'll post extras here later this month. Please let me know if anyone is up for a trade. All my extra cards have been removed from the comics. If looking to trade, I just need the cards not the comics. FWIW, I still need #18 Butch Guise to complete my set. If your selling I'm buying. And thanks to a guy from Facebook for 10 more! Just 15 more to go! Does anybody know who the artist of this original art micro-print is? I do not recognize the signature or the style! A huge thanks to nycjadie for helping complete my set. I had honestly given up hope. Thanks bud!